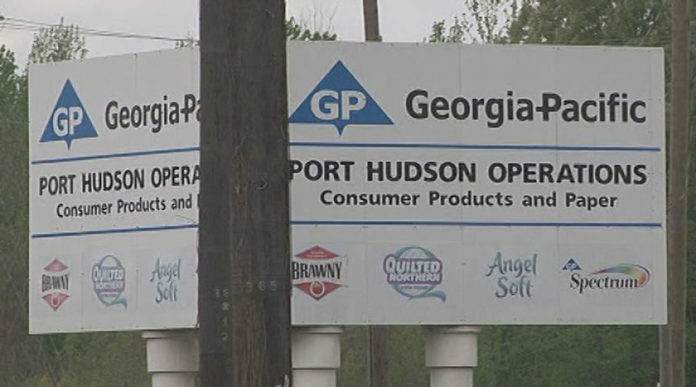 Dozens of Capital Region companies are reaching out to express interest in hiring some of the 650 local Georgia-Pacific employees who will be laid off. When the news of the layoffs broke Friday, ExxonMobil contacted Mayor Sharon Weston Broome to offer assistance with the hiring of impacted workers, says spokeswoman Stephanie Cargile. “We want to consider some of the Georgia-Pacific engineers and operators for positions at our sites [in Louisiana and Texas],” Cargile says. The refinery is one of several members of the Greater Baton Rouge Industry Alliance who have reached out to the group’s executive director, Connie Fabre, to let her know they’re hiring. Others, says Fabre, include SNF Flopam in Plaquemine and Occidental Chemical Company, with operations in Geismar and Convent. Turner Industries, meanwhile, discussed the layoff at a meeting this morning and Senior Vice President Tobie Craig says the industrial firm “is seriously considering” hiring some of the laid-off workers. “We’re already getting resumes from people and our recruiters are looking to see how their talents can fit with our company,” Craig says. On a broader level, the Baton Rouge Area Chamber is working with the Louisiana Workforce Commission, the mayor’s office, Employ BR and Louisiana Economic Development to transition affected Georgia-Pacific employees to new jobs. To maintain a list of employers interested in hiring laid-off workers in the near future, BRAC sent out a form to its members last week. It’s gotten 46 responses as of this afternoon, says Kelly Bienn, BRAC’s vice president of marketing, though she declined to name any interested companies. As part of the joint effort, the LWC Rapid Response team is providing early intervention seminars to connect Georgia-Pacific employees with a variety of resources. The team normally solicits job leads and provides job fairs and recruitment events.